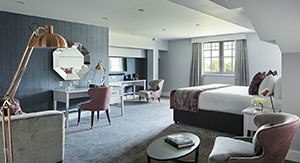 Set in 200 acres of parkland, at the heart of England’s Golf Coast, Formby Hall Golf Resort and Spa offers 76 individually designed contemporary bedrooms, a luxurious spa and outstanding leisure facilities that includes an excellent 18-hole Championship Golf Course. All of our hotel rooms offer understated, beautiful and contemporary design, created with luxury and comfort in mind. It is our aim to make you want to come back to stay again and we are confident that you will want to stay on longer than you originally planned! Each beautifully designed guest room is air conditioned and offers a hospitality tray, hairdryer, fridge, plasma TV and full internet access. Luxurious spacious bathrooms are situated in each room and we have 2 guest rooms suitable for disabled guests. 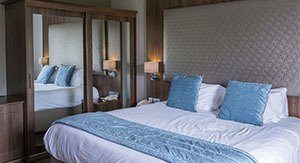 To make a hotel reservation online please click here or call 01704 875699 to speak to our reservations team. We are able to offer hotel guests secure left luggage facilities. 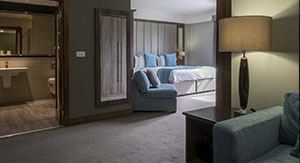 These spacious rooms are the perfect place to relax after enjoying golf, spa or the activities in the surrounding area. 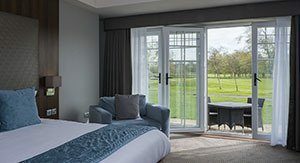 With views over the Golf Course, these spacious rooms are ideal to relax during your time at Formby Hall. Some rooms offer a terrace. 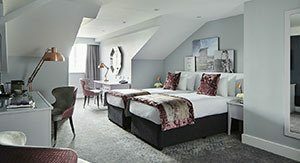 With the addition of a lounge area with sofa, these spacious rooms are perfect for an indulgent stay. Relax in the oversized 2 person bathtub, king size bed and enjoy views over the Golf Course. Located in an exclusive wing, with private access, these spacious rooms offer luxurious touches for a memorable stay. Located in an exclusive wing, with private access. These characterful, spacious rooms offer views over the golf course. Located in an exclusive wing, with private access. 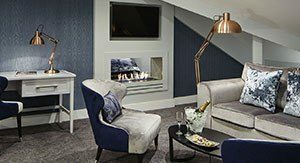 These characterful, spacious rooms include a relaxing lounge area with sofa and views over the golf course.